Heat ghee in a pan, add edible gum and fry till it is puffed up. Remove it from the pan and then drain excess ghee and roughly break them to pieces with a rolling pin and set them aside. In the same pan, heat the remaining ghee and add the wheat flour and roast it, stirring continuously till the flour starts to change its color. Turn off the heat. Let it cool lightly so that it is comfortable to handle. To this roasted flour, add the crushed edible gum, powdered sugar, cardamom powder, mix well. Take this mixture and shape them into laddus. 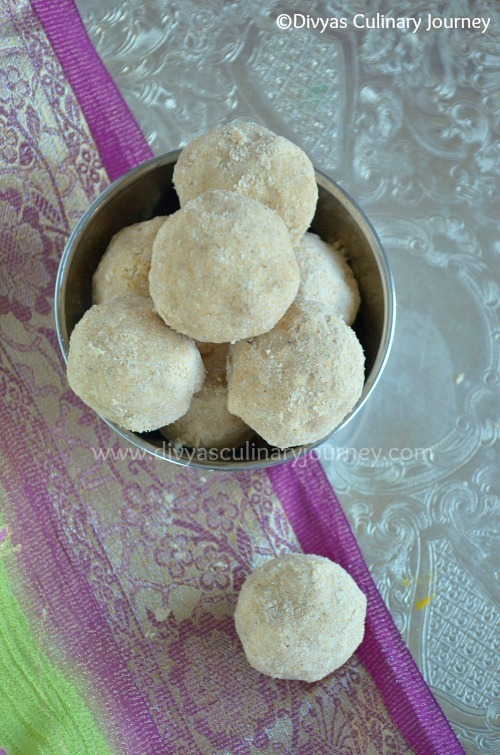 If you find it difficult to shape laddus then you can add some melted ghee and then shape them. It yields about 12- 15 laddus depending on the size of the laddus. 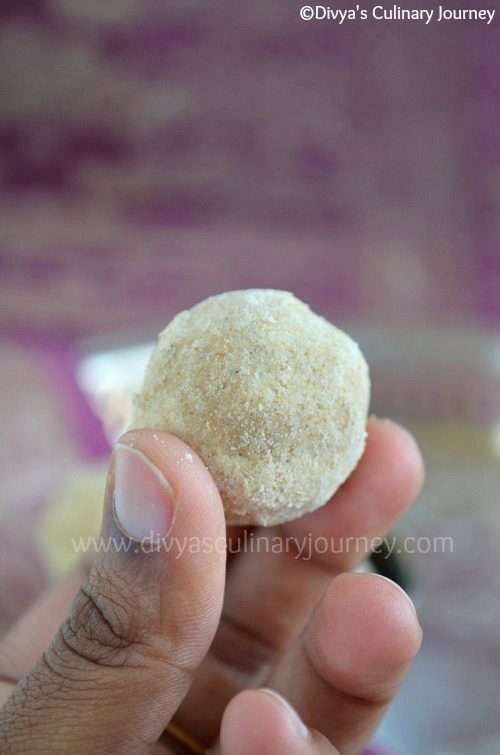 You can add some roasted chopped nuts to this laddu too. I can smell the fragrance of these sweet balls..aahhh!. Mouth Watering! Healthy laddos. Do visit me too. 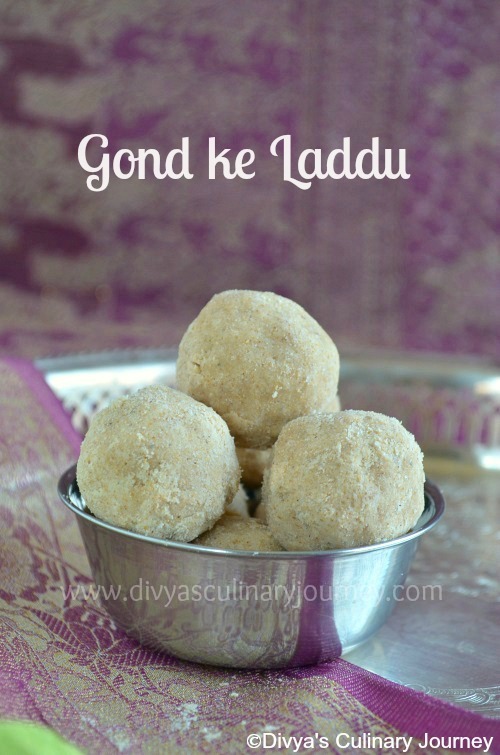 interesting dish...ladoo looks super yummy..
Sure Reva. Will post the picture of edible gum soon..
Lovely lookging and inspiring ladoos!! love it!! They came out beautifully, loved this laddus.